Earlier this year I reviewed the PJD6352, a mostly business-oriented budget projector in Viewsonic’s new LightStream series. Although its XGA resolution and 4:3 format was clearly directed towards Powerpoint presentations, I found to be surprisingly good for home movies. With the LightStream series, Viewsonic is moving away from its earlier distinctly austere boxy design, introducing a gentler, curved outline. But the developments aren’t merely cosmetic. The new casing makes a much better job of containing light spill, and the improved light engine, with Viewsonic’s proprietary “Supercolor” colour wheel, provides a richer colour gamut. This newer PJD7830HDL makes the most of these improvements. AS A HOME MOVIE PROJECTOR, this latest PJD7830HDL shifts somewhat up the LightStream league table, although the price remains distinctly affordable — helped by this model’s omission of the networking features. 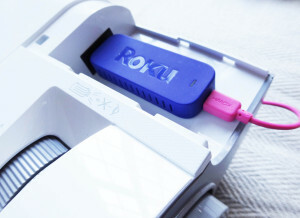 The business connection remains, so the presentation timer is still included, the built-in mono speaker is retained, and the remote control incorporates a laser pointer. With its improved resolution of 1080p and a native 16:9 format ratio the business context benefits from more legible text, but of course this change also makes for a larger, more detailed home movie display. The LightStream industrial design of the PJD6352 is repeated here, complete with optional rear cowling to conceal and manage the cables, but this newer model comes in a very clean-looking white, with a light grey front panel. 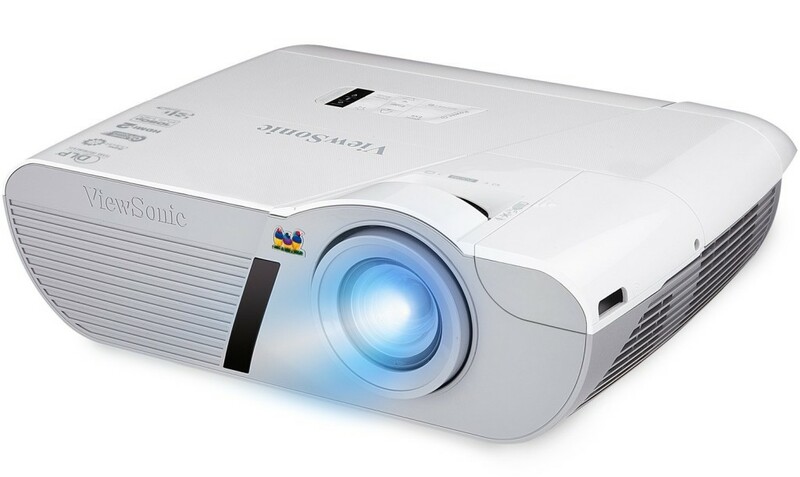 Many of the specifications we covered in the PJD6352 review carry over onto this model: the key difference, apart from lack of networking, the aspect ratio and resolution, is that the lower powered lamp limits the lumens to 3,200 — no big deal if the main use of the projector is for movie watching. If you’ve ever sat through a 3D movie and wondered why it never quite works, you might find enlightenment in this article from (sadly deceased) distinguished film critic Roger Ebert. Together with the no less distinguished film editor Walter Murch, he absolutely nails the problem. 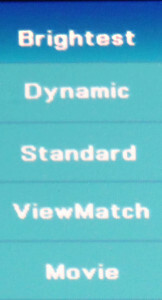 Five viewing modes are offered. “Brightest” on most of the projectors I’ve reviewed so far will normally flatten the colour gamut to a point where it’s really only useful for charts and graphs and perhaps video games. On the PJD7830HDL, however, the Brightest setting, despite (or perhaps, because of) my remarks above about the lack of lumens, was quite usable for TV watching in daylight, even though I’m projecting onto a plain matt wall with no special reflective properties. The control keypad built into the top surface of the machine duplicates the key features of the small remote control (unfortunately not backlit). The uncluttered and very cleanly signed rear panel includes inputs for component or VGA video (via a shared D-Sub socket), composite video and of course HDMI. There’s also provision to attach a monitor, mainly useful for keeping an eye on business presentations. A pair of mono 3.5mm audio sockets accept a separate audio track and a microphone if you’re using the internal 16W speaker, and a third 3.5mm audio socket for output can extract a mono mix of the soundtrack. Home theatre users will probably ignore all this and play the soundtrack out through an external audio device like the Yamaha RX-V679 I’ve been using in these tests. Like the PJD6532 this projector incorporates a second HDMI input, concealed behind a removable panel on the left hand side of the machine. This is primarily for the attachment of an HDMI/MHL (Multimedia High-speed Link) dongle like Viewsonic’s own ViewSync Wireless Presentation Gateway Dongle. I’ve yet to have hands on with this, but in principle it appears to be a much neater solution to the problem of adding wireless functionality than others I’ve come across. The dilemma of the second HDMI socket: with some dongles that need external power the neat design idea gets blown and you can’t replace the cover. Home theatre fans might be tempted to think this concealed second HDMI connector would be the ideal place for a dongle like the Amazon Fire TV Stick, the Roku Streaming Stick, or a ChromeCast dongle. Sadly the designer didn’t have any of these in mind, as this second HDMI compartment lacks the necessary USB power socket needed to drive these devices. The rear panel does have a single USB socket that would do the job, but using this would mean running a wire round to the back of the machine. There is a small breakout section in the side of the compartment cover to provide for a trailing USB or HDMI cable, but as you’ll see from the photo, cracking open a hole in the side still doesn’t guarantee you’d be able to replace the compartment cover. One initially disconcerting “feature” of the projector is what happens to the screen when you switch sources. Normally a projector screen will blank during the process and not restore the picture until the source is streaming and the colour wheel is properly in sync. The PJD7830HDL seems to get the timing slightly wrong, quickly flashing through the primary colours until the signal comes into sync. No deal-breaker, certainly, but perhaps something for Viewsonic’s bug list. I have one other niggle. Viewsonic’s LightStream projectors rest on three rubber-tipped feet, two at the rear and one at the front. The front foot is adjustable, allowing you to change the tilt and position the screen vertically. 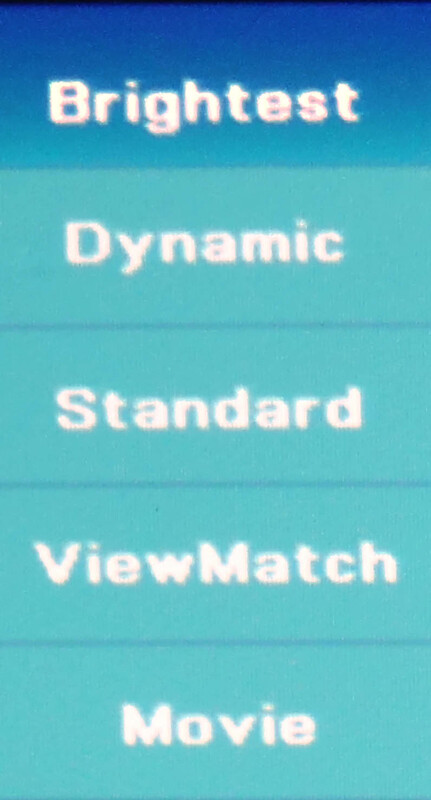 In the absence of any lens shift facility, a very comprehensive horizontal and vertical electronic keystone adjustment will compensate for any geometric misalignment (if you’re happy to ignore the chorus of disapproval from purist cineasts). Unless, that is, the projector isn’t quite evenly set horizontally. It would hardly have broken the bank for Viewsonic to have given at least one of the rear rubber-tipped feet a screw thread to guarantee setting the projector on an even keel. As things are I found myself having to make do with a piece of folded cardboard under one of the feet. With an extra screwable foot, a USB socket inside the second HDMI compartment and a firmware fix to the flashing source switching I’d be happy to give this Viewsonic projector full marks. But even as it stands, this is an impressively capable machine for £579 at the time of writing, a price which includes the rear cable management cover and might, if you shop around, also bundle in a stout canvas-style carrying case.